As part of our seventh annivesary, the Round Table hosts its traditional literature competition Participants have until the end of the 10th of December 2012 GMT to upload their specific entry for the competition. Upload your submissions to the ‘Literature’ section. Choose ‘Anniversary Literature Competition 2012’ in the category (Entries will be accepted from the 1st of November 2012 on). (NB: If you haven't submitted a story yet, you should ask Guillaume le Courageux or Uther Di Asturien the clearance to be able to post new articles). This year will feature a motto for the first time: The Errantry War. You can follow that motto with your submission, but you are not forced to. If you want other members to proofread the first draft and listen to their opinions in order to build the strongest story, you are free to create a thread to discuss your story in the subforum ‘The Hall of the Bards’. Keep in mind though that only submissions to the 'Literature’ section count and you cannot change it anymore (at least until after the competition). Also don’t forget that you can read last year’s entries in the ‘Literature’ section: search in the annual ‘Anniversary Literature Competition’ category. 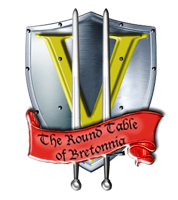 Your submission must be related to Bretonnia and be set entirely in the Warhammer World. Your submission must be a new one: i.e. you may not have submitted it to the literature section here or on another website in the past. Plagiarism will not be tolerated! The story should at least be one page (+/-1000 words) and at the most three pages (+/- 3000 words) long. Please use a standard font (Times New Roman 12, Calibri 11 or use the default font styles in the Editor when sending in the article), standard interpunction and interlines. It should be a stand-alone short story with no ties to other stories. Creativity (20): How creative and fresh was your story? Did it enthral the reader or was it more like a newspaper article? Another damsel-in-distress story or a true ballad of heroism? Does the story have a certain depth or is it a walk from point A to point B? Theme (10): Did you you follow the theme / topic of the competition in your story? Readability (10): How well written was your piece in fact? Was it a smooth read or was the reader's experience hampered by too many interpunctions, degradations and so on? Consistency (10): Does the entire story add up or is the reader lost in the many contradictions? No plotholes or does the character's colour of hair change with every page for example? Is the usage of tenses correct or does the writer change between past and present? Correctness (10): Is the story conform with the rules set out for the competition or did the writer choose his own path at his own risk? The Staff of the Round Table wishes the inspiration of the muse to you and good luck.